The latest weekly update for Gloria Victis is live! It introduces a completely reworked hits detection system, which allows players to better control the timing and distance when performing attacks. We have also adjusted the attack ranges for different types of weapons, therefore increasing a meaning of the proper movement and reactions. 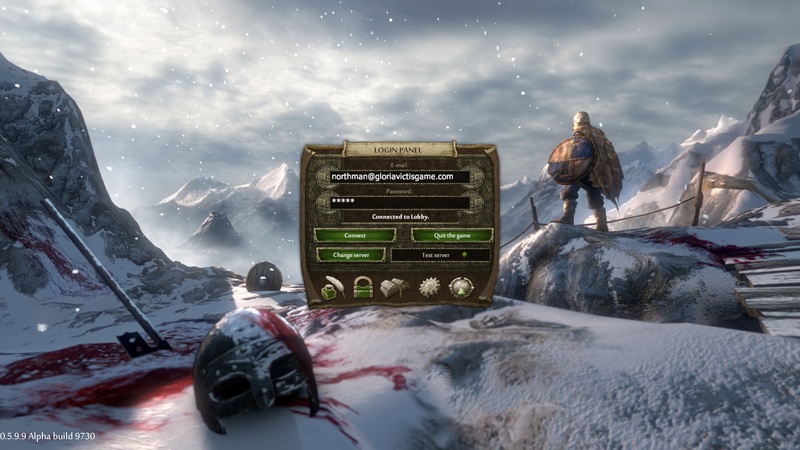 In effect, the combat system became even more skill-based and more rewarding for the experienced players. Moreover, entire system works way more smoother after the overhaul, greatly improving the servers’ performance and players’ experience from battles. On the other hand, we have applied a brand new main menu! An animated artwork welcomes players with a promise of the core of Gloria Victis: vast but harsh lands, bloody battleground, defeat and glory and setting your goals by yourself. The new login screen also greatly harmonizes with the recently added main theme composed by Marcin Przybyłowicz and creates immersion from the very first minutes in a game! And the last but not least – due to preparations for the upcoming Steam release we have a pleasure to invite every Gloria Victis player for today’s stress-test! It will start on the EU server at 8 P.M. CEST – right before the PVP tournament. Everyone feel welcome to join and help us testing the recent progress, and bring all your friends from the game!